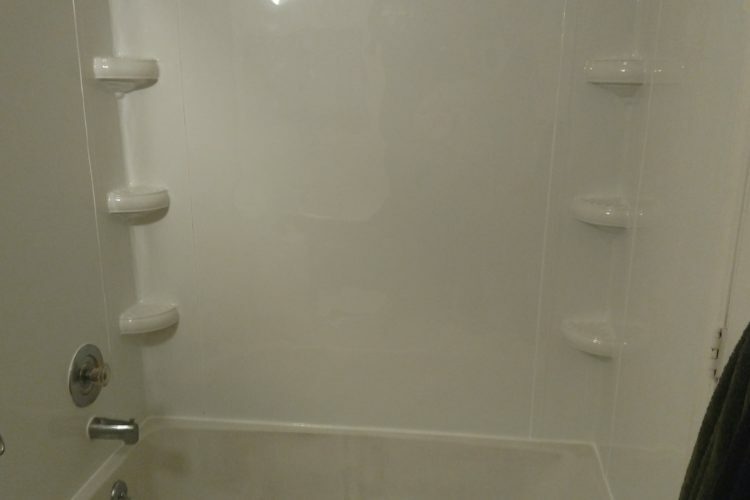 Shower wall kits are not the first choice for most homeowners. At times we need to take care of repairs at our homes and money may be a little tight. Meaning that there are several ways to repairs things cheaper than other ways. And it’s at some of these times that we just have to watch our budgets. 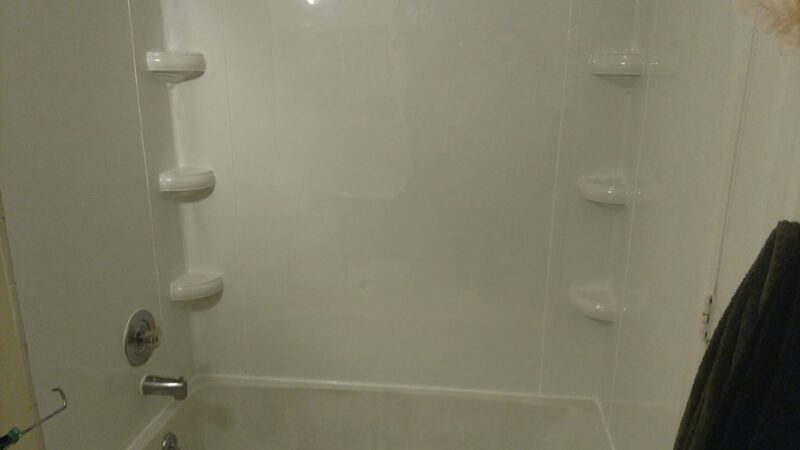 That is where shower wall kits come into play. They are inexpensive and do not take to long to install if you have the right tools and you know what you are doing. Simple but effective in stopping the water issue. And it didn’t look that bad. So there can always be cheaper options if that is all you can do at the time. The one thing I will say about these cheaper shower wall kits. Don’t expect them to look as good as they do when you first install them 3 or 4 years down the road. Depending on how well you take care of them and the type of cleaners you use. More than likely the finish will not hold up forever. Keep this in mind when you go to put scrub brite on it.